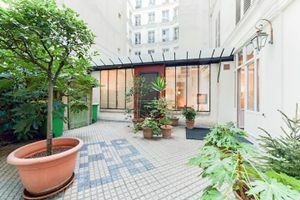 This beautiful space is located close to the prestigious Place Vendôme is ideal for Showrooms, Private Sales and Fashion Week Showrooms. 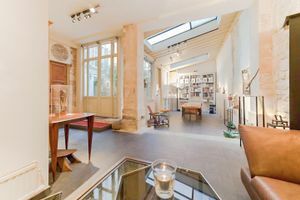 This bright and airy space has a unique atmosphere, it is welcoming yet creative. 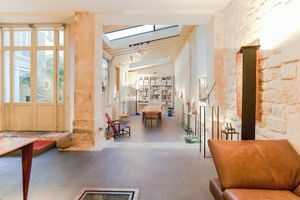 The interiors of exposed stone walls, gray stone tiled floor and loft style ceiling with large skylights create a modern rustic feel. 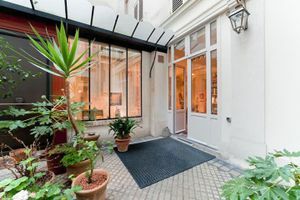 Accessed through a well-kept courtyard, this space is perfect for creative private events. Facilities include some private space, available as fitting rooms, furniture, Wi-Fi, bathrooms and office equipment. 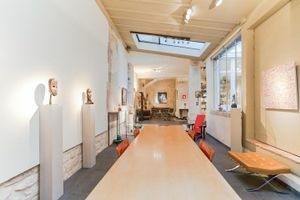 With a private entrance in a sought after area close to rue Saint-Honoré, this space is ideal for creative and high-end brands to host their showroom or private Fashion Week sale.